BULOVA Masonic Past Master watch. 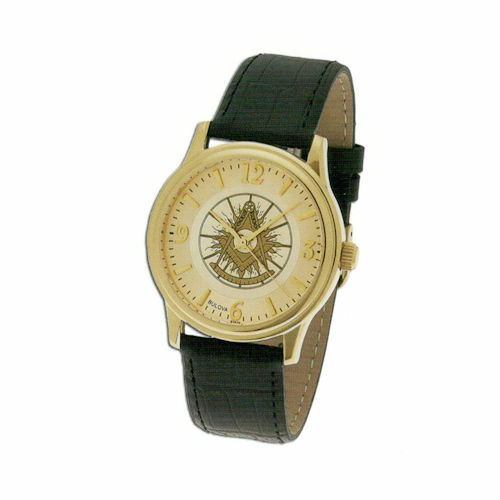 This watch has a round Gold dial with Arabic numerals and a yellow plated case. It has a Gold tone bezel with a Past Master emblem (Square, Compass & Quadrant) in the center. This watch has a black leather strap and the Case size is 38mm.